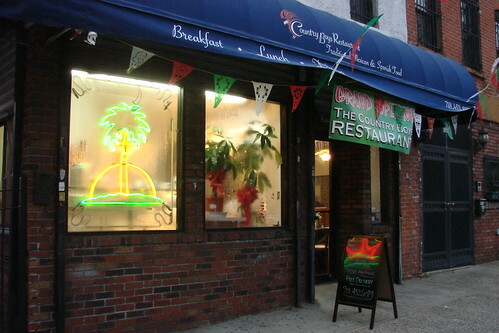 Blondie and Brownie: Red Hook's Country Boys Open a Restaurant! Red Hook’s famed Country Boys were the first of the Red Hook Vendors to win the coveted Vendy Cup and now they are the first to open a restaurant. We had the chance to get to know owners Fernando and Yolanda Martinez during the research for our upcoming book New York á la Cart: Recipes and Stories from the Big Apple’s BEST Food Trucks. The Country Boys are one of the 46 profiled vendors and their story from humble beginnings with just a couple tables and a grill at the ball fields is an inspiring one. One of the quotes that I love from the book comes from Fernando as he expressed his hope to one day open a restaurant: “Once we have a restaurant, we will feel more at peace.” Well, that day has finally come. 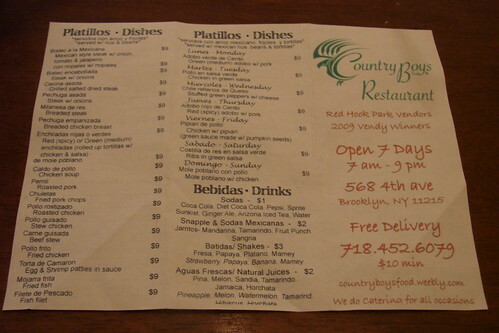 The Country Boys have expanded from a truck to a full-fledged restaurant that just opened on the outskirts of South Slope on the southwest corner of 4th avenue and 16th street. Last Friday, Little B and I braved the snowy spell to check it out . . . 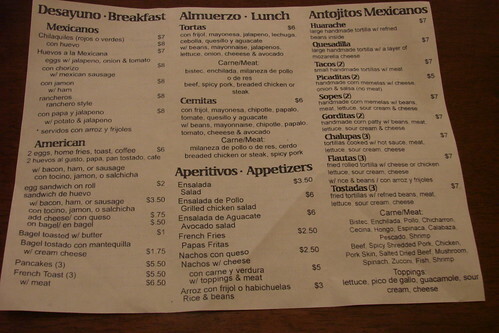 The menu has a mix of traditional Mexican and Puerto Rican dishes. Naturally their signature huaraches, enormous free form tortillas topped with vegetables or meat, cheese, sour cream, pico de gallo and guacamole, are featured prominently on the menu as are the tacos, sopes, gorditas, chalupas, flautas, and tostadas from the truck. While Country Boys don’t sell batidos or agua frescas at the ballfields they do have them at the restaurant (at the fields you can get these from Yolanda’s brother, Everardo Vaquero, at the Vaquero Fruit Truck, located just kitty corner from the Country Boys truck). Rounding out the menu are a mix of tortas, cemitas, and main dishes like Bistec a la Mexicana, red or green enchiladas, stewed chicken or beef and chile rellenos among other Mexican dishes. They also serve breakfast. 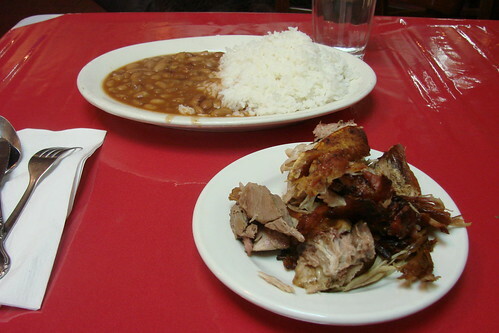 We decided to try their Pernil (roasted pork) which came with rice and beans. Little B was a huge fan. 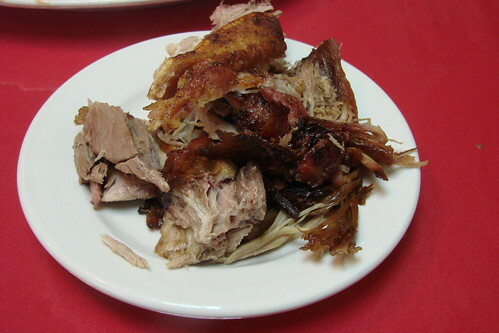 The meat was tender and juicy with some nice crispy, fatty skin bits mixed in. Delicious! Congratulations to Fernando and Yolanda! Wishing you much success with your new venture. We’ll be back soon to try more of the menu (mmm… chilaquiles!) while we await the return of the ball fields in April.